ECloud, hosted by the UFR IM2AG, is a hardware and software platform that represents a private cloud with a similar access interface as Amazon EC2 public cloud. The platform architecture is based on 2 Bullion servers (10 CPUs, 80 cores, 256 GB RAM), 1 NETAPP server (2 heads FAS 3020, 5TB drives on Fiber Channel), and the software VMware vCloud standard. The educational objective of the ECloud platform is to enable the students to gain a good experience in the emerging field of cloud computing and distributed applications. 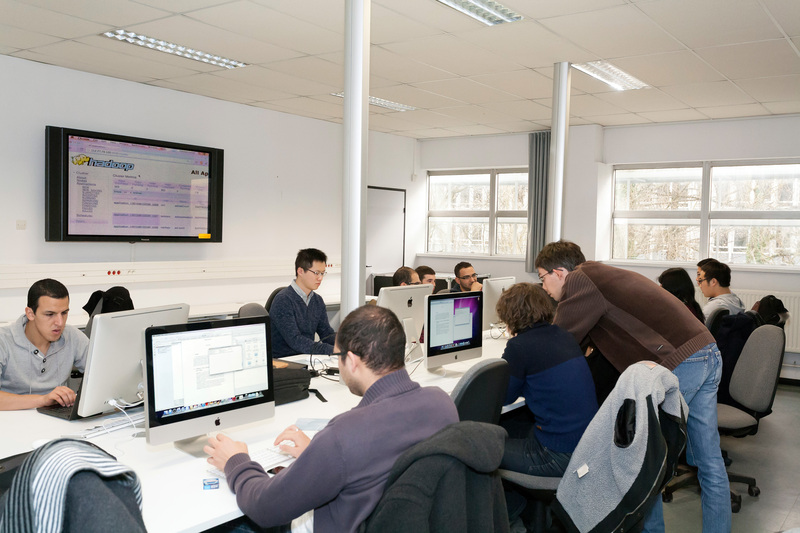 The ECloud platform is accessible through a web interface, by the students of UFR IM2AG as well as of Polytech Grenoble and Ensimag. Projet Ecom à UFR IM2AG pour les M2P GI et à POLYTECH en RICM3. Projet DAC à l'ENSIMAG en 3A ISI. UE Système et Application Répartie à l'ENSIMAG en 3A TELECOM.